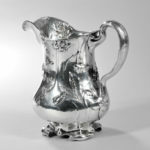 Fine Silver | Skinner Inc.
Skinner is inviting consignments for the spring 2019 auctions. 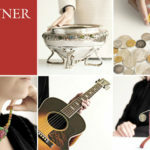 Meet with Skinner experts for a complimentary auction evaluation and consignment of your Jewelry, Fine Art, and Silver. Appointments required. Please register and a member of our team will contact you directly for an appointment time. High-quality photos are recommended for large or particularly fragile items. Gorham Sterling Silver and Mixed Metal Bowl, Providence, last quarter 19th century. Elizabeth A. Williams, the David and Peggy Rockefeller Curator of Decorative Arts and Design, will speak about Gorham silver and the upcoming RISD Museum exhibition, Designing Innovation: The Gorham Manufacturing Company, American Silver 1850-1970, opening May 2019. This talk is held in conjunction with the January 12 European Furniture & Decorative Arts auction, featuring Gorham silver. 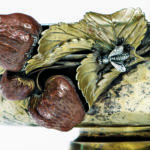 BOSTON, MA –Skinner, Inc. will hold an auction Saturday, July 14th of European Furniture & Decorative Arts featuring Fine Silver and the Laver Collection of Wedgwood. The extensive offerings include nearly 600 lots of European furniture and decorative arts from the 17th through early 20th centuries.